Good morning folks and Happy Monday! Did everyone enjoy their Halloween weekend? We sure did! Oh yeah! The costume! That’s what you came to see, right?! I have a quick story! When we found out we were pregnant I decided that if our baby was a girl, she would be what I was for my first Halloween, and if it was a boy, he would be what Christopher was for his first Halloween! 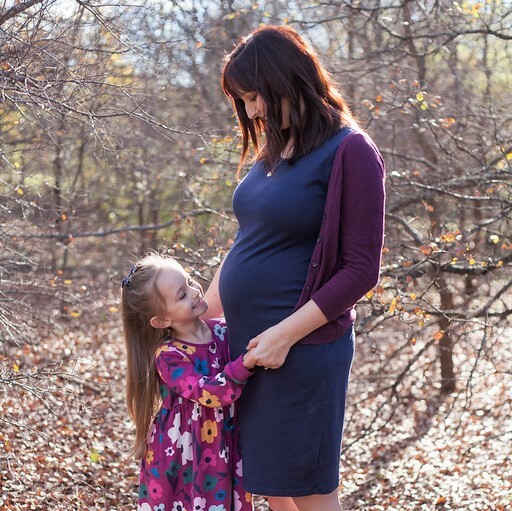 So, I was very excited to find out we were having a girl because I knew we would have a cute little….. Here is me at 5 months old as a little bunny! Ready for the surplus of pictures??? This Halloween, I went as a Magician, and Hallie was the Bunny from my Magic Hat! Hope the adorableness (is that a word) of the costume was worth the wait! Oh and stay tuned tomorrow for the costume review! What did you do for Halloween!? Oh stop! That is seriously the sweetest idea EVER! And of course she is the cutest bunny I've ever seen 🙂 What a fun Halloween! So cute!!! Very clever and love her little hat! Oh my gosh that is the cutest story (and idea!) ever! And what a cute little bunny!!! Aww Thanks so much! I super enjoyed putting it all together! That is absolutely perfect!! Oh my gosh, I love her little bunny ears hat, SO adorable!! Thanks lady! I loved her costume! And it was so soft! Love that story!!!! And she is the cutest bunny ever!! How adorable!!! Love the costume!!! Oh my goodness, what a great idea to have Hallie wear the same thing you did for your first Halloween! So cute! Thank you! I was so excited! It was totally fun! So cute! I love that idea and the hat makes it even more fun! Good job! Aww! Thank you! It was so fun! What a cute costume! You girls are adorable! That is seriously the most adorable costume duo everrrrr!!!!! Love it! I also love that she wore the same costume you first wore! Such a lovely tradition!!! Thanks so much for linking up with us for the Countdown this past month! I've loved seeing all the festive activities & finding a new blog read! oh that is so sweet, and so cute that you want with what you were for your first. I don't even know what i was for my first Halloween. And I love the magician and hat! the hat! so clever. Well done! I just love love love your costume! So creative – and I love costumes that 'go' together. So cute! !